Combine videos and edit them like a pro in a few clicks! Switch videos with or without fade, apply effect like Picture In Picture, manage audio tracks… Use our Automated Producer feature and let our AI produce the best videos for you! Broadcast your production in real time on any website: Facebook Live, YouTube, Twitch, Livestream… or your own website! With Linkstream, produce and broadcast live only from your web browser! Use video feeds from anyone, anywhere in the world as a source! Live video from anyone, anywhere. Broadcast from our mobile app Linkstream, available on iOS and Android or use any professional camera with a mobile encoder. RTMP-compatible cameras such as the JVC GY-HM200E camcorder can broadcast directly to the platform without using an encoder. Combine videos and edit them like a pro in a few clicks! Switch videos with or without fade, apply effect like Picture In Picture, manage audio tracks... Use our Automated Producer feature and let our AI produce the best videos for you! Publish your production on your favorite website! 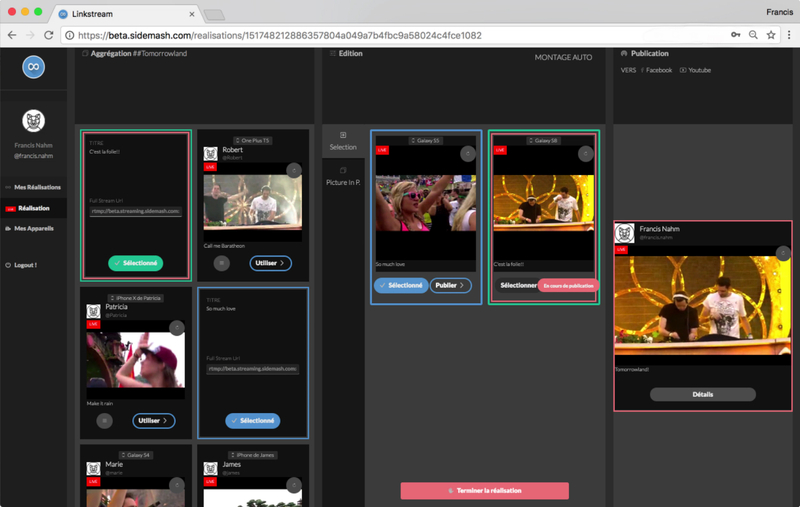 Broadcast your production in real time on any website: Facebook Live, YouTube, Twitch, Livestream... or your own website!